Colorado To Kill Some Mountain Lions, Bears To Boost Mule Deer Numbers : The Two-Way The state plans to kill up to 15 mountain lions and 25 black bears beginning in the spring. Some biologists worry the plan ignores the threats of habitat destruction and energy development. 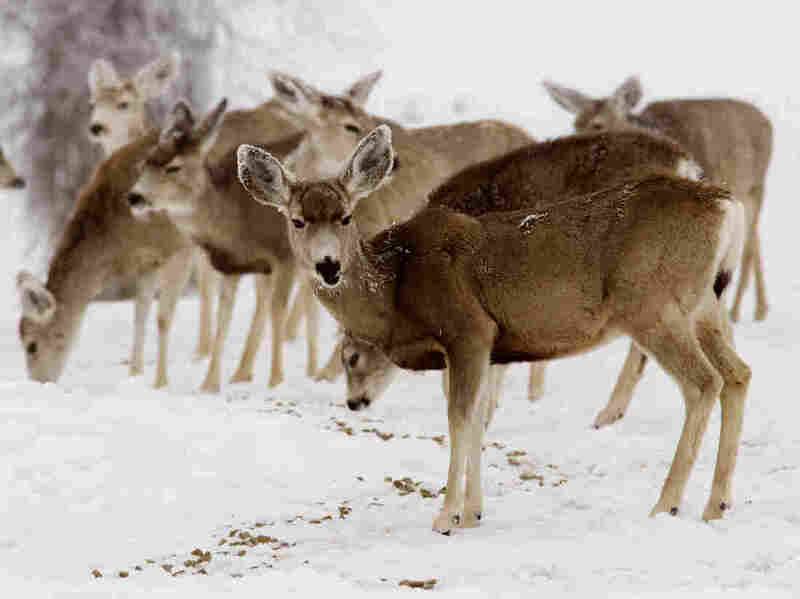 A group of mule deer in Colorado in 2008. Under the plan, state wildlife crews will capture and kill up to 15 mountain lions and 25 black bears each year in the Piceance Basin of northwest Colorado. beginning in the spring of 2017.